Members of the National Association of Home Builders (NAHB) have called for an increase in recruiting efforts to attract women to the homebuilding industry as the residential construction industry continues to grapple with a severe labor shortage. The call was made in recognition of Professional Women in Building (PWB) Week. 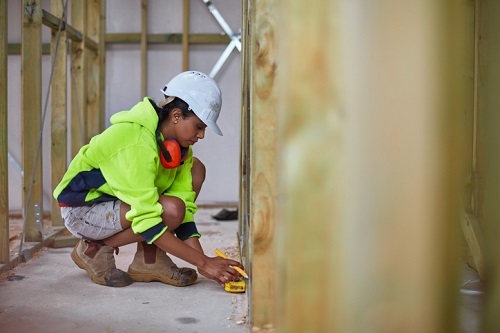 PWB members said bringing more women into the construction labor force represents a potential opportunity for the future. To introduce more women to the industry, PWB members are looking into creating more pre-apprenticeship programs throughout the country and developing leadership paths within their organizations. Women currently make up 9% of the construction industry, despite accounting for almost half (47%) of the total working population, according to data analyzed by NAHB. Female construction employment slowly picked up to around 970,000 in 2017 after the Great Recession, but it remains below the pre-recession level of 1.1 million in 2007.